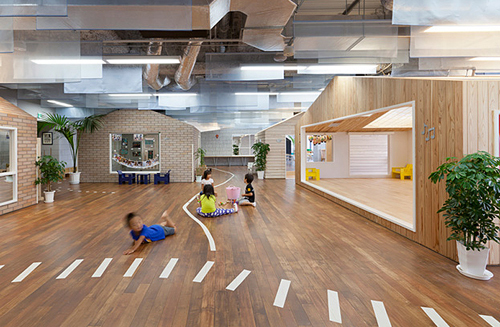 Arranged like a small neighbourhood, the floor has been marked with lines inidicative of paths and roads, guiding the young children between the structures. 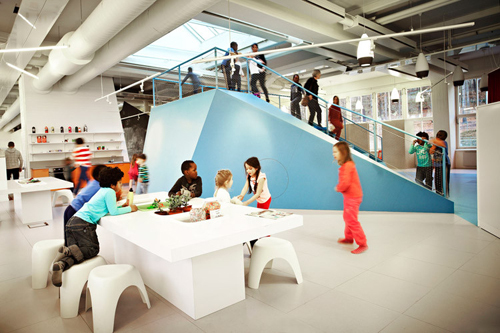 Another recent design is a school in Stockholm, Sweden, the Vittra Telefonplan designed by Rosan Bosch. All 30 schools in Sweden's free school organisation Vittra encompasses the philosophy of 'no classes and no classrooms' (Bosch, 2011). Instead, students are taught in groups according to levels based on the school's pedagogical principles of 'the wateringhole', 'the show-off', 'the cave', 'the campfire' and 'the laboratory' - didactic approaches that create different types of learning and teaching situations (Bosch, 2011). Vittra's vision is to to create an everyday, living, cultural and challenging learning environment for the students that focuses on the individual learning and development of each student. Bosch's design for the Vittra Telefonplan interprets the school's pedagogical philosophy by creating open and free-flowing spatial divisions with custom-designed free-standing units, that set multiple situations or platforms for different types of learning (i.e individual or social). 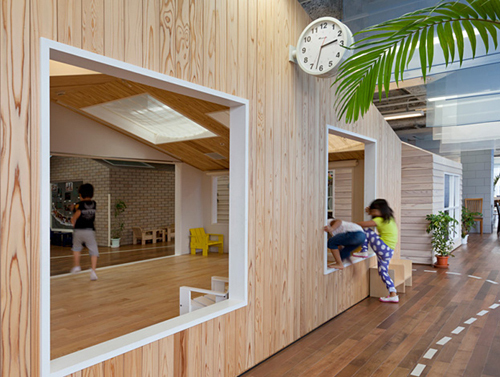 Displaying neon-green "sitting islands" and whimsical picnic tables for students and teachers alike to gather. 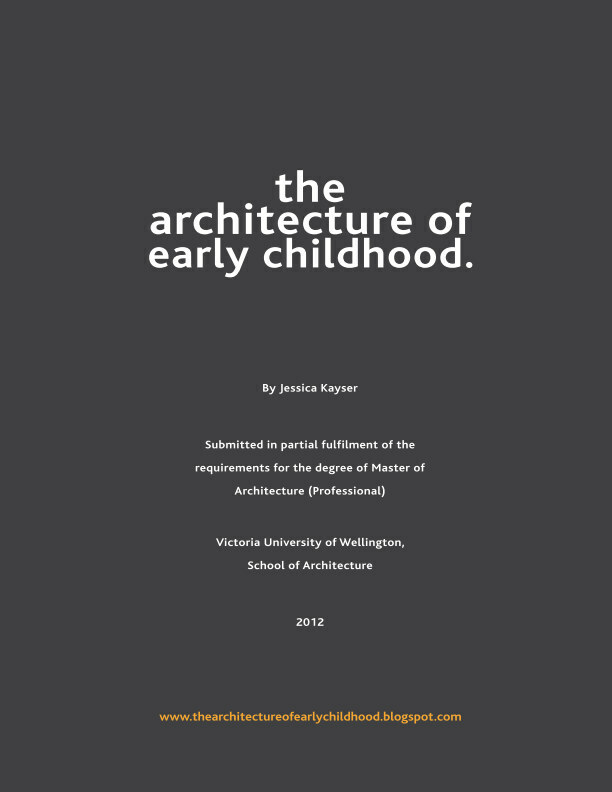 The philosophy of the school and its accompanying physical environment appears to take its departure from the early childhood pedagogical philosophies - of the individual and natural child - that follows the child's interests and creates environments for social and collaborative learning as well as individual and independent learning. The question now is, is this the future of learning for all schools? Or does structure and hierachal learning still have its place in preparing children for society? I am intrigued and fairly excited by this concept that treats children less like children and more like capable citizens, where their natural interests are able to flourish. Yet am not entirely convinced by the design, which appears to me as too artificial (lighting, materials) and 'trendy' with its use of futuristic shapes and colours that will date too quickly. Via Fast Co. Design, Architzer and Rosan Bosch. 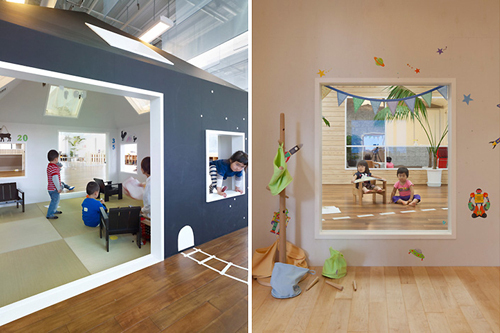 While the concept of using free standing units as opposed to traditional floors and walls is a fairly new concept - the idea has already been utilised by a number of architects in the design of early childhood centres and schools for their ability to break down the scale of space for adults to that of space for children. 2. Fawood Children's Centre in London, UK designed in 2004 by Alsop Architects. 3. Carl Bolle Elementary School in Berlin, Germany designed in 2006 by Die Baupoliten. 4. 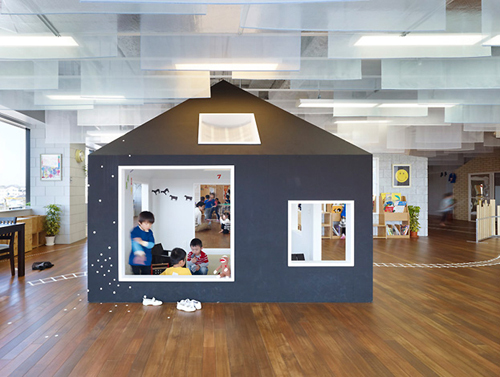 Olifantsvlei Preschool in Johannesburg, South Africa designed in 2006 by Innsbruck University, Studio 3 - Institute for Experimental Architecture. 5. 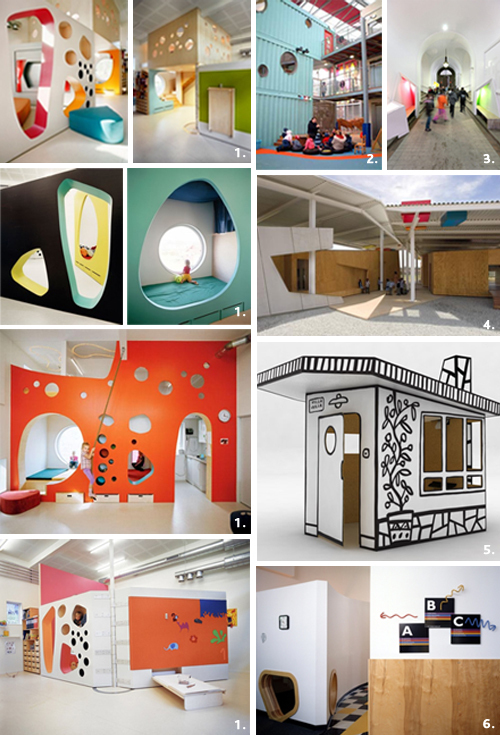 Villa Julia cardboard playhouse designed by Javier Mariscal for Magis, for Milan Design Week 2009. 6. Corning Child Development Center in Corning New York designed in 1996 by Mack Scogin Merril Elam Architects.